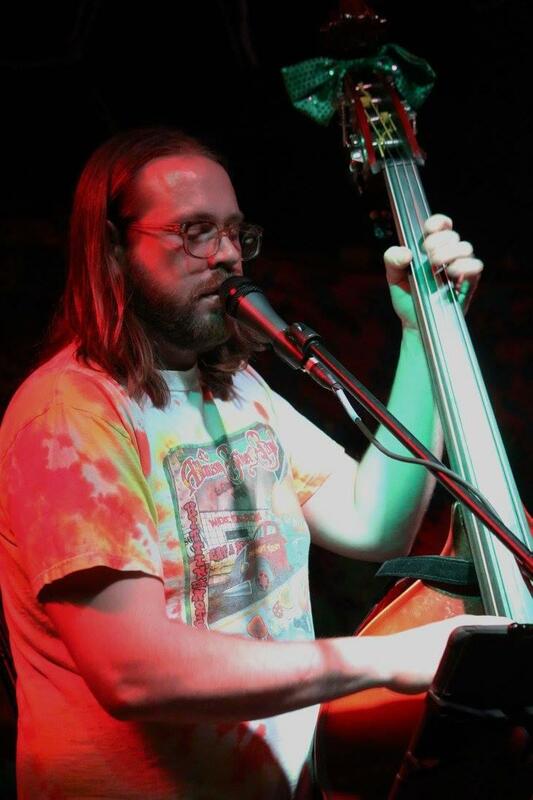 Joe Schlaak and his standup bass are a familiar sight on the Lexington music scene. The song you’re listening to right now is When You’re Down by the Restless Leg String Band, written by Casey Baumgardner and Joe Schlaak. Schlaak, a Lexington native, got his start playing bass in orchestra through school. Schlaak says playing the bass is something he has wanted to do for as long as he can remember. In 2013 Schlaak along with guitarist Casey Baumgardner started playing downtown in front of crowds after Thursday Night Live would end. This eventually led to the formation of the band Restless Leg String Band. The duo had played in different bands before, but Schlaak says inspiration from the Cincinnati based band Rumpke Mountain Boys was just the spark they needed. Restless Leg String Band has released their self titled debut album. The album was recorded at Graytful Garden Studios in Gray, Kentucky. While he’s proud to have the album finished, Schlaak says the release is time for the band to continue to look forward. Joe Schlaak performs with Restless Leg String Band. Restless Leg String band performs every Sunday at Cosmic Charlies. More information about Schlaak and the band can be found on facebook. This week DeBraun profiles multi-instrumentalist Tripp Bratton.